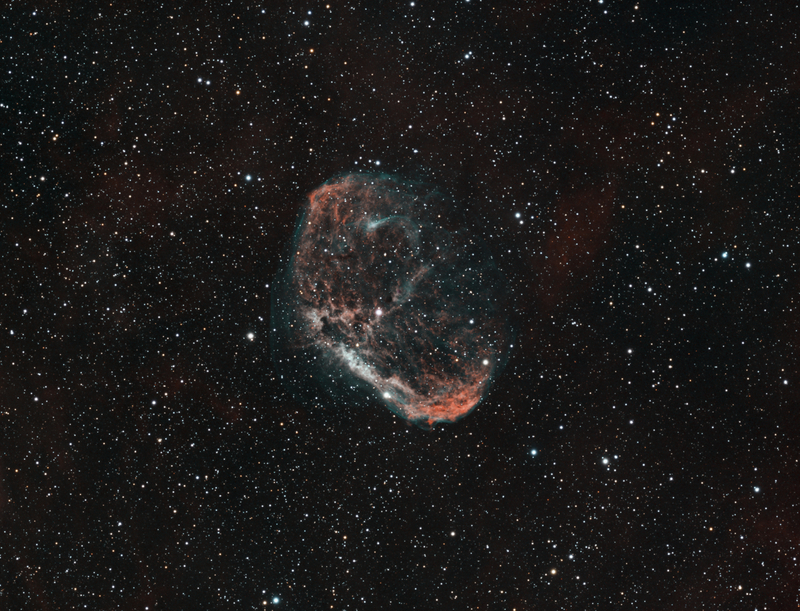 Crescent Nebula NGC6888. 52x300s Ha, 42x300s Oiii (Astrodon 5nm) and 10x120s RGB for the stars. Processed in Pixinsight and Photoshop. Had a go at replacing the NB stars with RGB which seems to have worked on the larger stars.